Faithwire Opinion is a platform to discuss opinions and points of view from a variety of perspectives and voices. The opinions or information put forth by contributors/authors are exclusive to them and do not necessarily represent the views of Faithwire. Every morning I grab my phone, scroll through Twitter, and see that there’s a new piece of pro-life legislation aiming to stop abortions at detection of a heartbeat – and I cringe. I am about as pro-life as they come—I literally made the movie about it. My first documentary was Babies Are Murdered Here. God used that film to encourage hundred and hundreds of people to stand outside of abortion clinics in order to plead for the lives of babies. The film was also influential in the launch of Apologia Studios and EndAbortionNow.com, which has been used by God to partner with over 350 churches that have started their own abortion clinic ministries. I am currently filming and directing the sequel to, appropriately titled Babies Are Still Murdered Here. Most would assume that I should be rejoicing about the heartbeat bills that are being passed all over the nation. I should be on my knees praising God that these bills will save some babies. After all, the multi-million dollar pro-life lobby groups are practically popping champagne. Instead, I am writing this Debbie Downer of an op-ed, because here is the truth: the heartbeat bill is single-handedly the absolute worst piece of pro-life legislation ever conceived by the minds of men. Why am I not ecstatic that these laws are being passed? For starters, these laws are impossible to enforce. Read the text of any pro-life heartbeat bill ask yourself this: who has to prove that there is a heartbeat? Are we pretending there is a world in which every abortion clinic is going to hire a certified pro-life ultrasound nurse who will honestly do the work required to find a heartbeat? The pressing, searching, roving, seeking with the tools required to find a tiny heartbeat? No. And why would they? 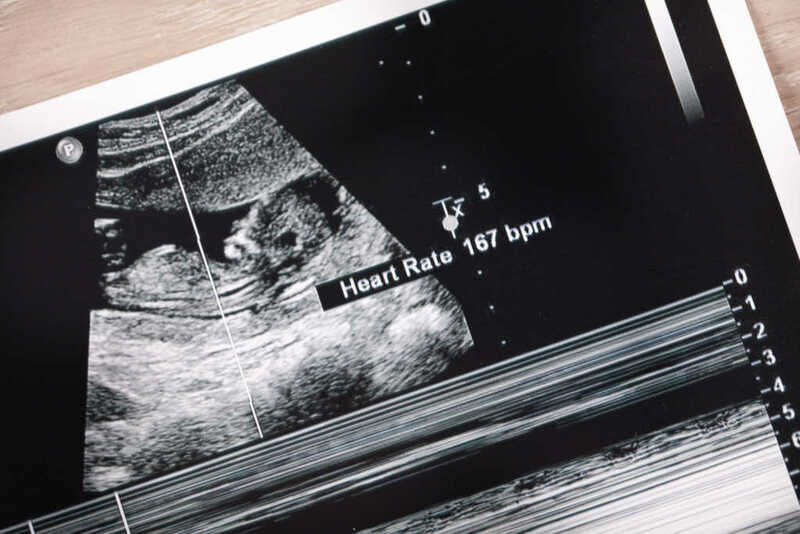 These bills put the requirement of the finding the heartbeat on the person least likely to want to find a heartbeat—the abortion doctors themselves. So let us understand this perfectly. People who have sociopathically chosen a career in which the blood of murdered children will foot the bill for their homes, cars, and families are expected to act here in good faith We’re expecting them to do the work necessary to allow their paying patient to hear their child’s heartbeat before they murder it? I used not to think this way until I met a woman named Sarah Cleveland. She performs ultrasounds for a living in Ohio. She informed me that detecting a heartbeat is incredibly easy to purposefully miss if one wants to miss it and how easy it is to say there is no heartbeat on the baby when there is. See, ultrasound is completely operator dependent. One can manipulate the scan however they want. And in the hands of an abortion provider, that scan can prove to be deadly. The operator has to place the wand on exactly the right spot, with just the exact right amount of pressure for the heartbeat to actually be detected. For example, we have two women, both 6 weeks pregnant, one woman thin and scanned using transvaginal sonography and the other woman overweight and scanned using a transabdominal technique. Although the babies are the same gestational age, the first will be seen (if the operator chooses to see it) and the other baby will not be seen (no matter how hard anyone tries). Two babies. Two different results in “detecting” the heartbeat. Transvaginal ultrasounds are far more accurate in detecting the heartbeat but the Ohio Bill specifically says “Nothing in this section shall be construed a transvaginal ultrasound.” Pro-choice groups apparently said those were too invasive and the pro-life lobbyist conceded. I guess it’s invasive to do a transvaginal ultrasound, but not invasive to do a transvaginal abortion. Somehow, the ones whose livelihood comes from ‘performing the abortion’ will ‘in good faith’ find every single heartbeat? Let’s all hold our breath, shall we? There is good news with these laws — if you are part of the pro-life lobbyist groups. They will be able to go to their donors, beat their chest, and say they have accomplished something. This will allow them to ask for more money to fight for this useless law in court, all the while bragging about how many lives that will be saved because laws like this magically make abortion doctors have ‘good faith.’ Oh, all of the faith they have created! This law further regulates the abortion industry. Think about the taxi-cab industry for a moment. They were highly regulated and still are. It could cost upwards of a million dollars to get permission from the state of NY to pick someone up and carry them in your car for a few miles. Then along came Uber and Lyft who refused to call themselves a taxi service in order to avoid such regulations. They called it ‘ride-sharing’ and now it’s bigger than ever and less regulated. It would be foolish to say that people don’t take cabs anymore because they do, more than ever, it’s just that the taxi-cab industry doesn’t own them. Regulations like the ones pro-life lobbyists introduce only create more abortions. Instead of taking yellow cabs to abortion clinics, women now Uber to the drug store and get the morning-after pills. No need to detect a heartbeat in that scenario. It is past time that we pull the plug on the highly regulatory pro-life lobby groups. Why are our hearts beating with excitement over legislation that regulates healthcare? I thought my fellow conservatives were against that? Perhaps, like Gideon, our pro-life army is just too big and we need to whittle it down to about 300 men who are like Jon Speed of Syracuse, NY, who shut his business down and demanded that his own local city councils defy state and federal tyranny much like Wisconsin did with Dread Scott, or Colorado did with federal marijuana laws, or other counties are doing to defy immigration laws. After all, courts don’t make laws. Schoolhouse Rock taught us that years ago. It’s time to stop placing our trust in multi-million dollar lobby groups and instead place our trust in the King of the Universe who finds men who are hiding, like Gideon, and calls them mighty warriors. If individuals began rising up on their own and demanding their elected officials stop murdering children or face the consequences come election day, perhaps one day I can make a film called Babies Are No Longer Murdered Here.